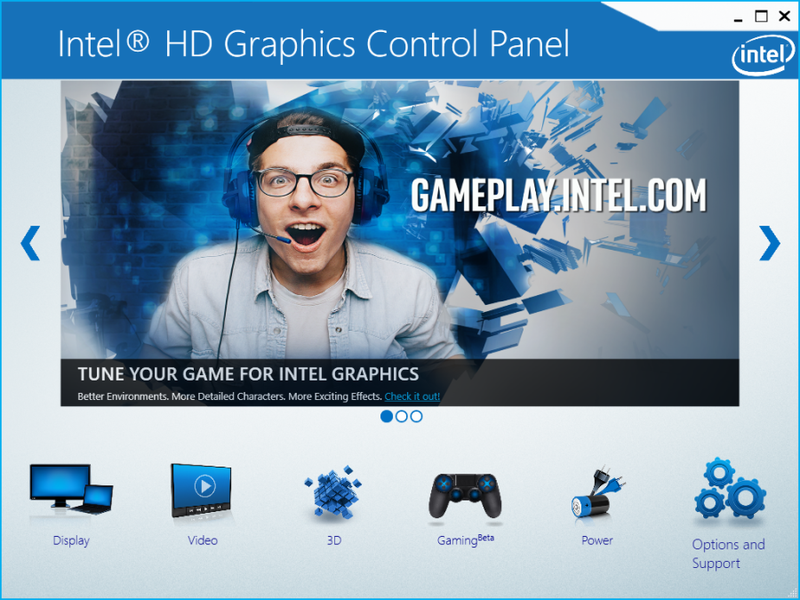 Intel has released a new graphics driver for GPUs integrated in Intel 6th Gen (Skylake), 7th Gen (Kaby Lake), 8th Gen (Kaby Lake R, Coffee Lake) and Apollo Lake Core processors. This new driver (version 15.65.3.4944) adds the support of Age of Empires: Definitive Edition and Final Fantasy XII: The Zodiac Age HD. v4944 comes with a new feature: the control panel now configures game settings automatically. Intel is introducing a new feature with the ability to automatically configure game settings for Intel® Graphics on 6th Gen Core Processors or higher (including upcoming systems with 8th Gen Core Processors with Radeon™ RX Vega M Graphics). Look for the ‘Gaming icon’ in the Graphics Control Panel. This feature is still in beta so game availability and functionality is limited. – Enhanced performance of graphics workloads for 6th Gen Intel® Core™ processors or higher with intelligent power management under maximum load. – Improved performance in video encoding for all codecs. – Power saving optimizations during video playback and UHD gaming is now available on all 7th Gen Intel Core processors and higher. What OpenGL 4.6 extensions is this driver still lacking to advertise OpenGL 4.6 support? 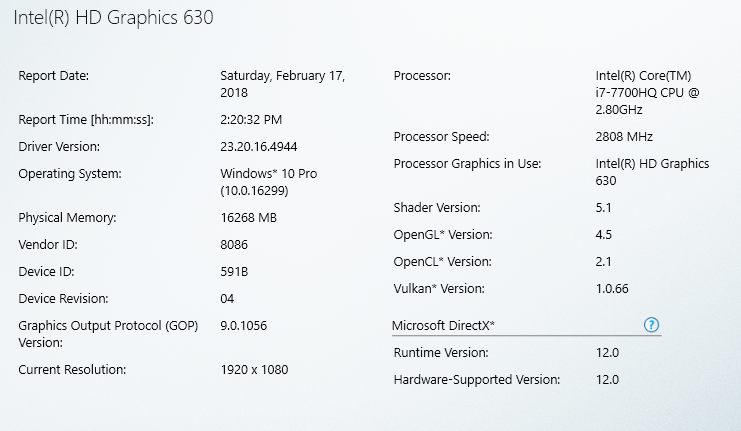 Intel 24.20.100.6025 with Vulkan 1.1 support. can i use these on windows 10 or an older laptop. Can I use this on a older laptop with an older intel gpu? and do the drivers mentioned here work in windows 10?